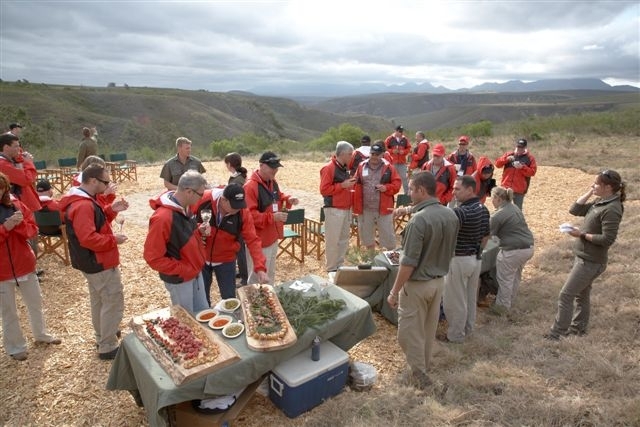 We visited the Phinda Private Game Reserve soon after it opened and sometime before they built the Forest Lodge. And what I recall most vividly was the clearing and the stacking. The realisation that this was all about turning the turning the clock back and correcting years of inappropriate land management. Today visitors can experience the interaction with lions and rhino after breakfast, a Whale Shark or deep sea fishing in the afternoon and a sumptuous dinner prepared over coals in a boma . The reserves 17 000 hectares cover seven unique ecosystems at the foot of the Lebombo mountains through to the waters of the Indian Ocean. 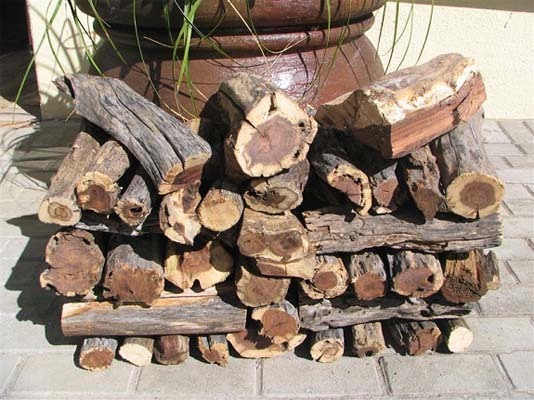 I sell excellent 1st grade hard wood for braai coals. The bulk of my hard wood is Acacia Cyclops. (Rooikraans). I do have wattle at a lower price. 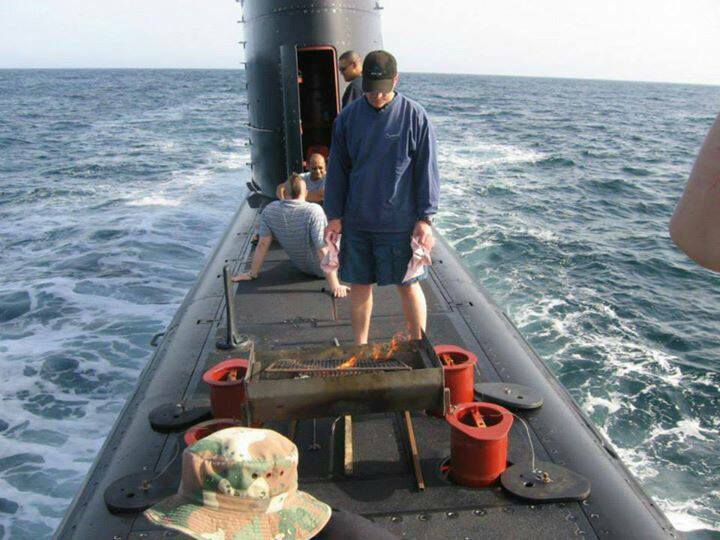 A good substitute for the more astute braai master. Rooikraans load is currently R1 000/35 milk crates. Wattle load sells at R700 for same. Bags of kindling can be purchased for R50/50kg size sack. We offer a great service. 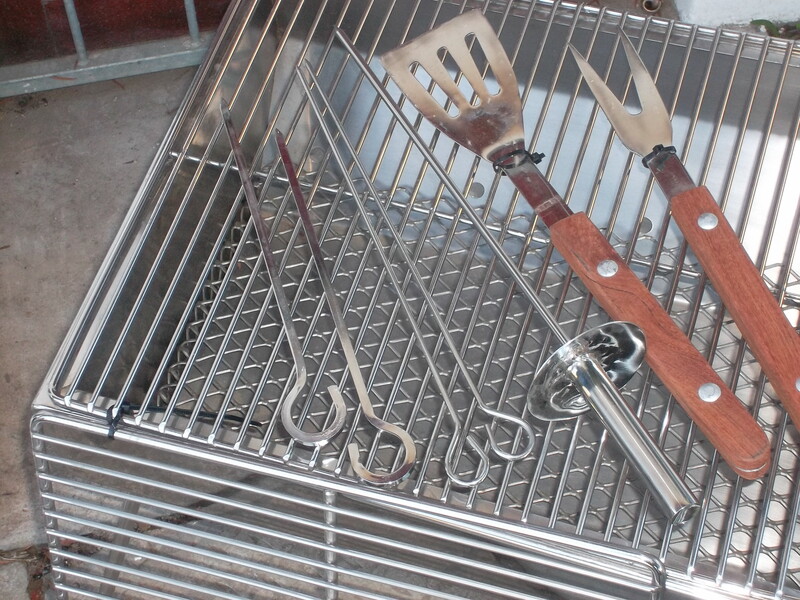 My staff are efficient & friendly & most importantly the wood is good. With years of experience we can offer you a service catering for large corporate functions, sporting events, weddings or a small private and intimate party. 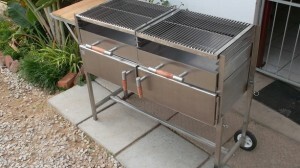 We specialise in spit braais and can guarantee you a seamless and professional service. Each open plan suite, modeled on the traditional Khoi-San dwelling, offfers 180-degree views, sky lights for star gazing, clay pot fireplaces and deep baths to keep visitors warm upon arrival from an evening game drive. The comfortable bush lodge accommodation facilities include a large infinity pool, an open-plan lounge and bar, with food and beverage services offered in an elegant dining room set around 2 open fireplaces, the new outdoor covered veranda perfectly placed to soak in the scenery under the shade, and the outdoor African boma. 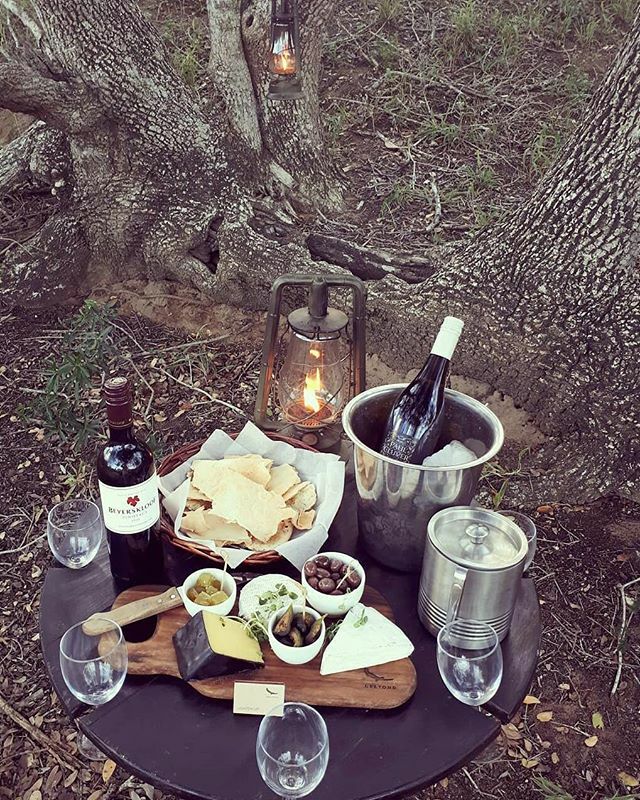 Guests are treated to surprise bush breakfasts, romantic picnics, evening barbecues and scenic sundowner spots. Well appointed, deluxe, stand-alone bedrooms overlook two waterholes across the valley onto the breathtaking mountains, which once formed part of the famous landmass known as Gondwanaland. 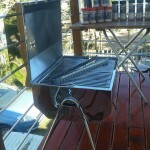 We are looking for the final two teams who would like to join us on the Road to the Ultimate Braai Experience on the 8th July at Mitchells Knysna Brewery where we will get a lesson from an executive chef who will teach how to prepare and cook a three course meal of quiche with chicken, spinach egg and cream served with rocket. 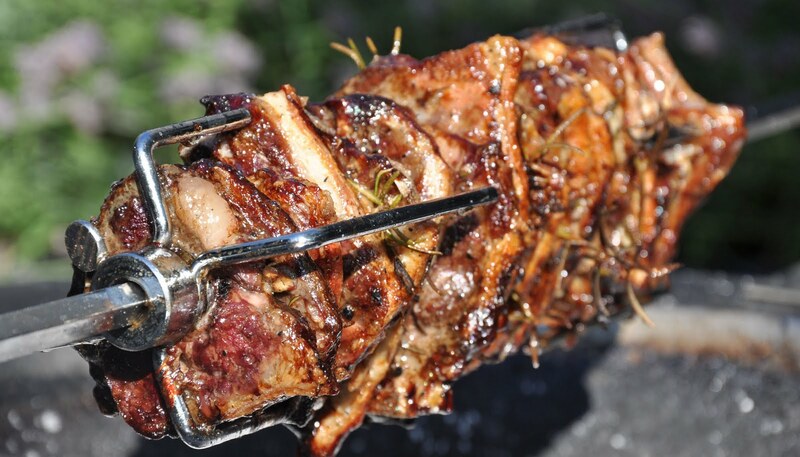 Then the main course of lamb racks with roast potato and roasted veg, followed by a malva pudding and ice cream. All this will be paired with a selection of local craft beers. We will start at 15:00 on Wed afternoon and end once dinner is served. 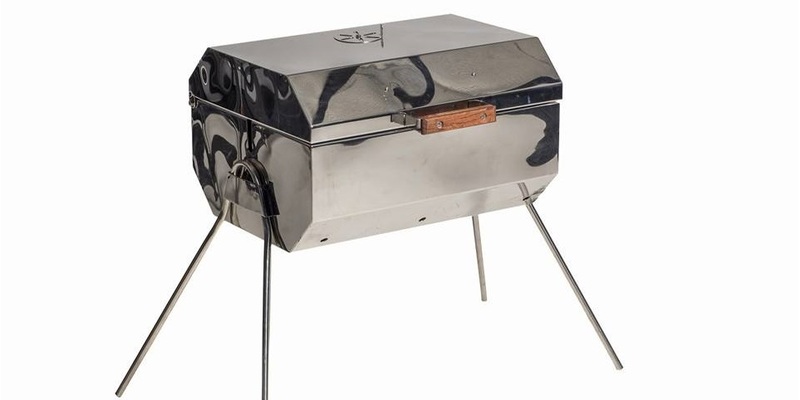 We are proud to be working with local companies from the region including Mitchells Brewery, Greeffs butchery, Braai Rub, Safari Charcoal and naturally we will be using our new range of stainless steel convection braais to prepare the feast. 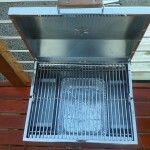 Meals will be for a party of four and will be cooked by two of the team members. 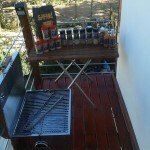 Cost is R 1000.00 per team and each team will also go home with a mystery hamper after the event. There will also be local entertainment from our own local muso Vernon Henry Wilkinson. It is going to be funtastic. We were asked if we could make a built in fireplace for a client. 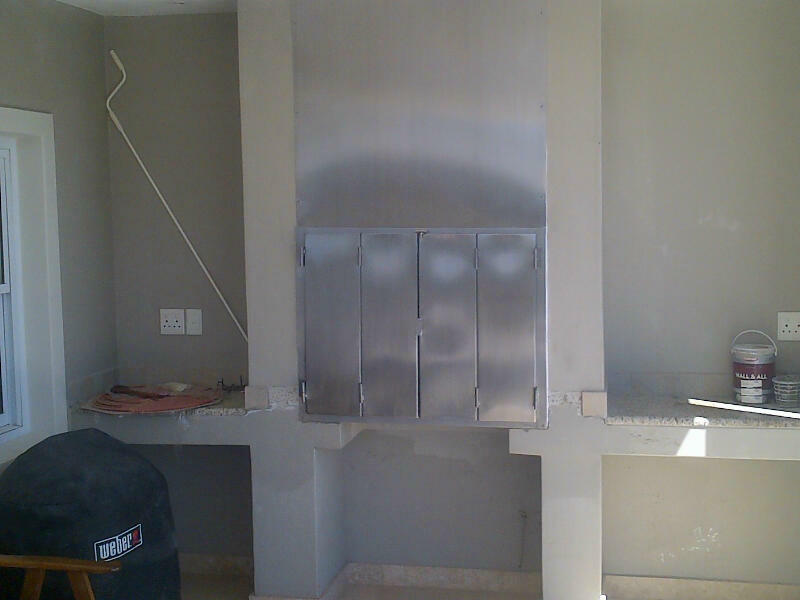 When we asked whether they were going to braai ( barbeque) on the unit, we were told that we should accomodate a braai too..
Well the end result we made up, all in 304 grade stainless steel, was the braai / fireplace below. 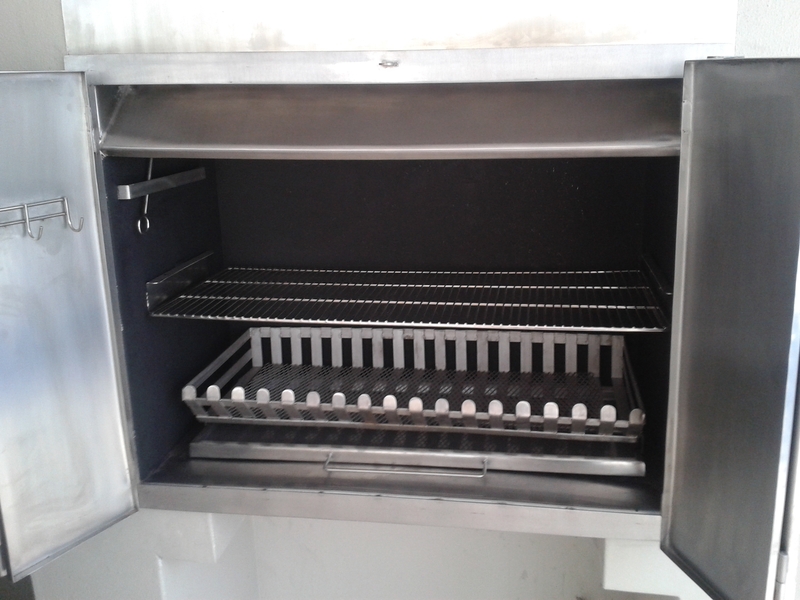 We fitted a fire grate to accommodate the fire aspect. We also made some doors that double folded to create enough space that the owners could still use the work area alongside the unit and we added a damper to allow the heat to be retained inward when they were using it as a fireplace. 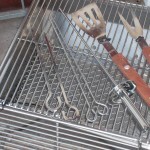 Botany offers custom stainless steel braai equipment and camping accessories that will last a lifetime. 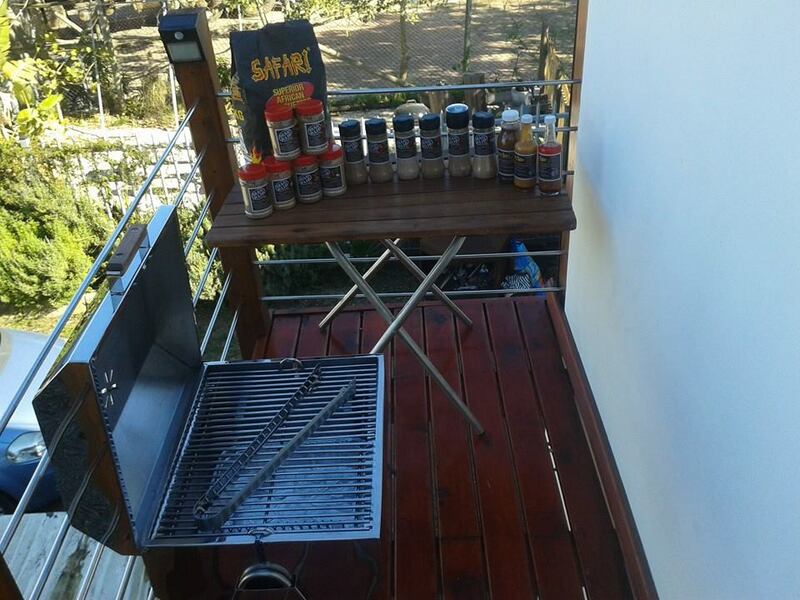 Their latest offering is the Master Braai. 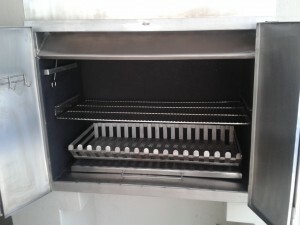 This unit offers an oven facility to keep food warm or bake bread while you do the meat on the grill or check out the braai recipes. Removable legs and on wheels makes the unit usable as a built in braai unit or movable to where the party is. 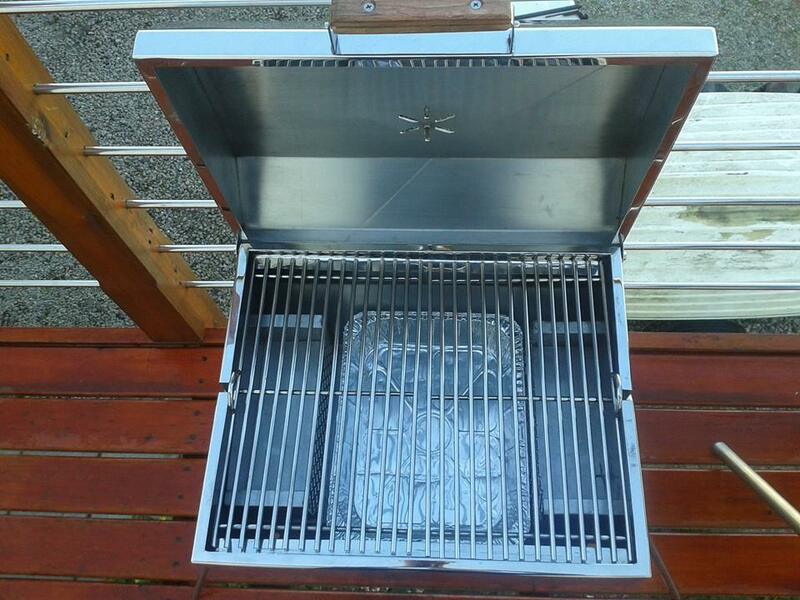 The handle doubles up as a wooden side tray for keeping spices ( or the beer ) close at hand during the cooking. 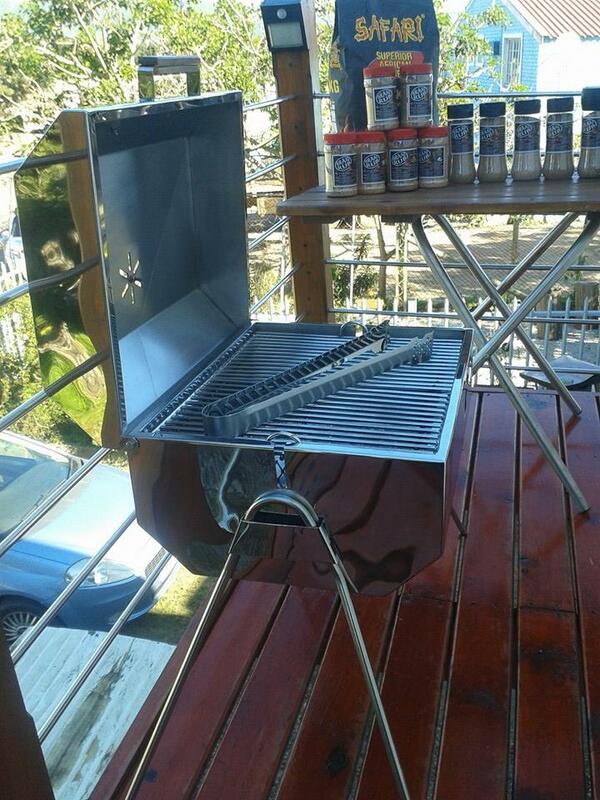 The unit can accommodate a rotisserie braai to do a chicken while you relax or make the meat on the other grid.